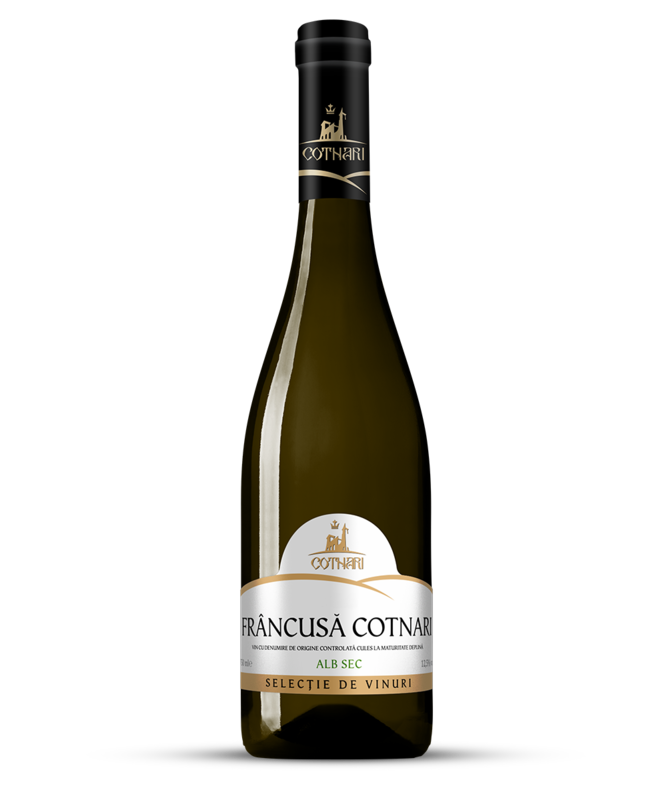 Francusa, the wine of the Cotnari Vineyard, manages to gather a fine, light and private fragrance, giving it a genuine floral touch . The yellow color with greenish tones enjoys the eye, and the unique taste, due to a refreshing note, is supported by good acidity. The delicate flavor and scent are the characteristics of the well-bred grape, the note of freshness and fruity being unmistakable. Fish preparations, molluscs, crayfish, Poultry meat, Appetizers, goose or duck liver, Goat cheese, bell cheese, Grill Chicken, Salmon, shellfish, seafood. The specialists have “melted” the qualities of the Tamaioasa Romaneasca, Feteasca Alba and Francusa varieties in a cut that has built a distinct and unique personality. This “oenological artwork” brings together the features of the three noble local varieties, in a strong personality, thus covering a great diversity of tastes and preferences of the dry wine lovers. 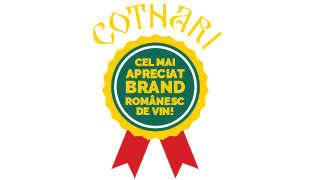 It is the representative of the new generation of Cotnari wines, born at the joyful combination of the vigour and generosity of the traditional Romanian varieties and the modern wine making technology. This white semi-dry wine, of remarkable consistency and harmony, in which the aromas of the field flowers and the citrus fruits blend in with the fresh and refined flavour of the taste, will delight all the senses. Snacks Poultry or hunting, Appetizers, White meat dishes. Busuioaca conquers you from the first meeting with its shiny, pink colour, with rose shades. Strawberry and berry fragrances are perfumed with intense fruity taste with medium acidity. 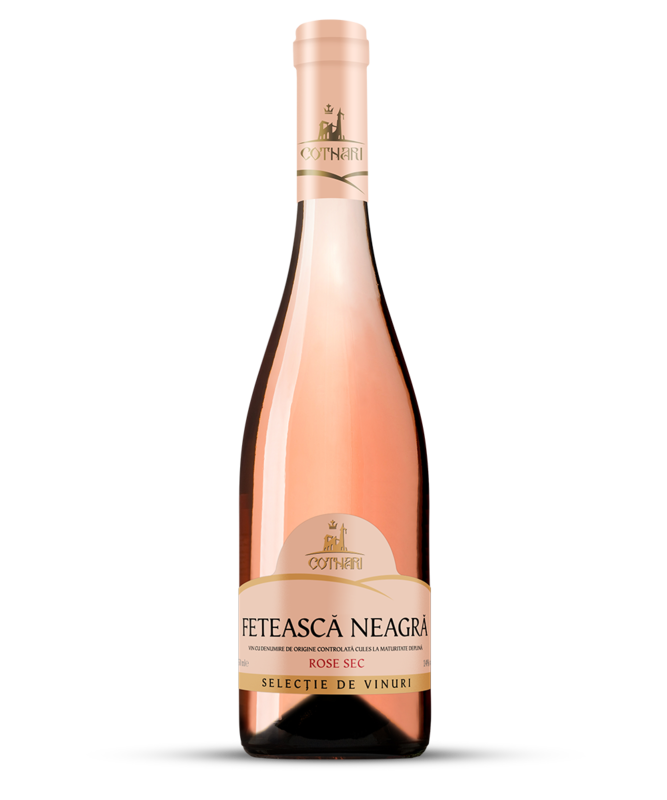 Feteasca neagra rose combines the tradition of this variety with the modernity of the present tastes. In rose, the notes of red berries are complemented by discreet tones of rose petals. The fruity intense taste is dominated by good acidity. Poultry meat, Fish preparations, Salmon, shellfish, spicy seafood. 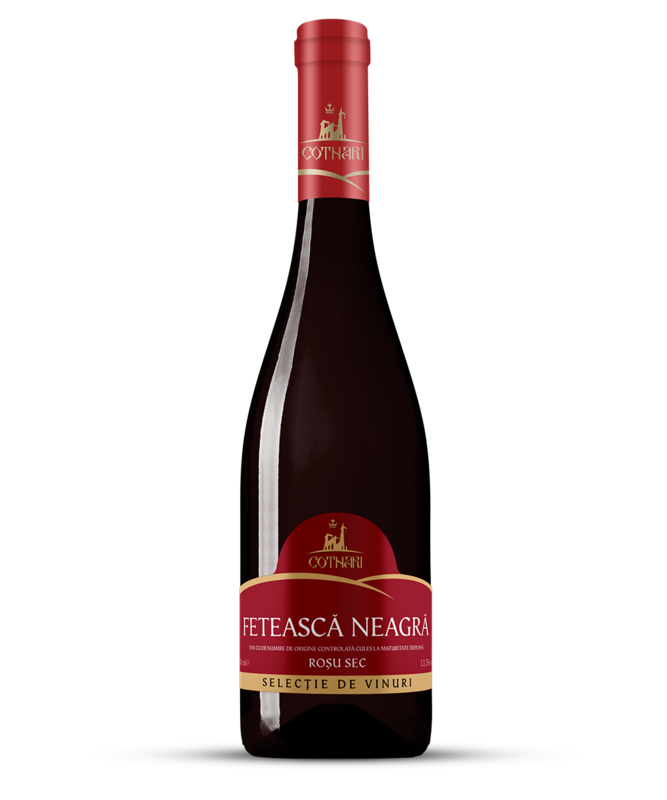 Feteasca Neagra welcomes you with a unique and elegant aroma, but with a strong personality. Typical of the Feteasca Neagra variety, the notes of dried plums are supplemented with black cherries, mature cherries, blackberries, blueberries and black currants. Red meat, barbeque Chewy cheeses.